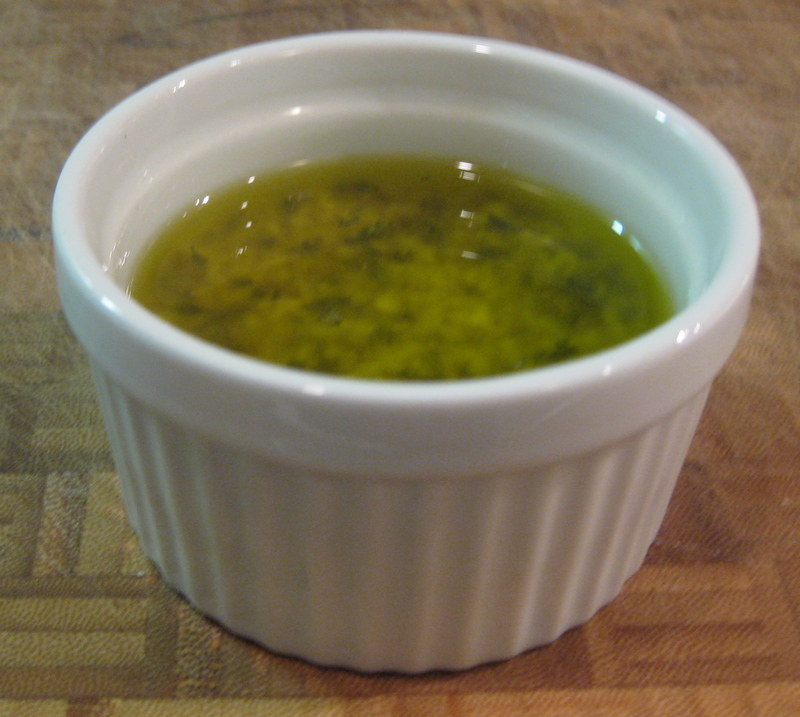 Heat olive oil at a medium setting until it begins to shimmer. Pour hot oil over the crushed garlic and chili pepper and stir. This will soften the garlic and flavor the oil. A cheat for this is to place the cold oil, garlic and chili in a microwave for 1 minute. Let oil cool for 10 minutes and mix in remaining ingredients. You can use it right away or refrigerate. It’s best when used at room temperature.